‘Pagbangon’ from Philippines and ‘Extreme Weather’ from Australia won the World Television Awards 2015 under Humanity and Science / Environment categories, respectively. The Awards were announced during the Asia Media Summit held at Kuala Lumpur, Malaysia. ‘Pagbangon’ broadcast by GMA Network, Inc, Philippines and directed by Ms. Angeli Guidaya-Atienza won the award for the best documentary under the Humanity category. This year’s topic for the category was “Dealing with Natural Disasters". 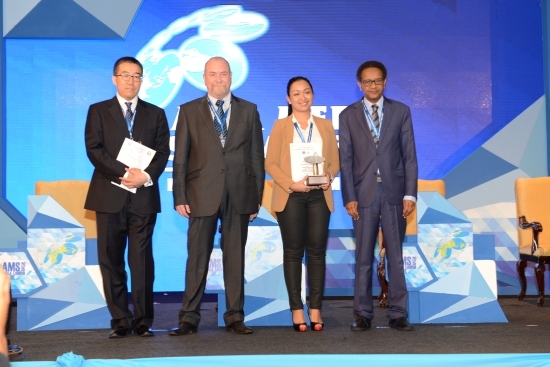 Mr Chang Jin, Director of AIBD, and Mr Abdelrahim Suleiman, Director General of Arab States Broadcasting Union (ASBU), who jointly announced the winner, presented a trophy and certificate to Ms. Angeli Guidaya-Atienza. To announce and present the best TV Programme under the Science / Environment category Mr. Chang Jin was joined by Mr. Damien Syed, First Secretary of the Embassy of France in Kuala Lumpur. “Extreme Weather”, directed by Ms. Anja Taylor and broadcast by ABC, Australia won the World Television Awards under the category Science/ Environment. This year’s topic under the category was "Building Resilience to Climate Change”. Ms Lynley Marshall, Chief Executive Officer Australian Broadcasting Corporation (ABC) International received the trophy and certificate on behalf of Ms. Anja Taylor. As the Chairperson of the jury for the World Television Awards 2015, Mr John Maguire, Director of International Relations and Cooperation of France Médias Monde, explained the selection process. For each category the winners will receive a cash prize of US$5,000. The World TV Awards 2015 are supported by Arab States Broadcasting Union (ASBU), French Ministry of Foreign Affairs, Norwegian Broadcasting Corporation (NRK), Radio Television Malaysia (RTM) and Islamic Broadcasting Union (IBU). 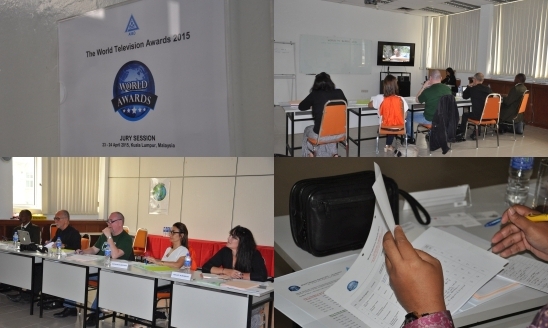 CATEGORY SCIENCE / ENVIRONMENT for the Best TV Programme on "Supporting Climate Change Initiative"
The final jury session of the World TV Awards 2015 took place 23 and 24 April 2015 at the AIBD office in Kuala Lumpur, Malaysia. Mr John Maguire, Director of International Relations and Cooperation of France Médias Monde, France chaired the international jury. Considering the importance of the topics and anticipating an overwhelming response from Television Programme Producers, the deadline for programme submission of the World TV Awards is now extended to Monday 20th April 2015, which will be the final deadline. Category Science/Environment for the Best TV Programme on "Supporting Climate Change Initiative"
Winners will be presented with their Awards during the Asia Media Summit to be held in Kuala Lumpur, Malaysia from 26 to 28 May 2015, a global gathering of broadcasters. AIBD in collaboration with its global partners presents the World Television Awards 2015. 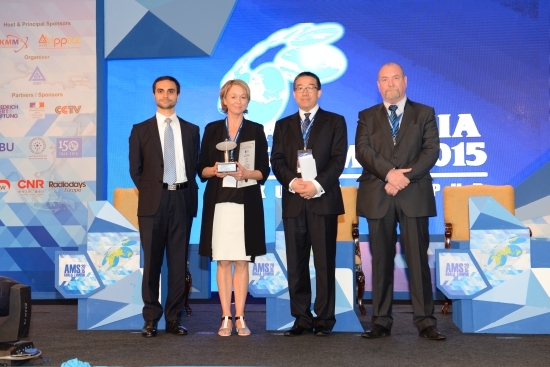 Winners will be presented with their Awards during the Asia Media Summit to be held in Kuala Lumpur, Malaysia from 26 - 28 May 2015, a global gathering of broadcasters. The deadline for programme submission is 1st April 2015.